Fulton is the author of “The IRGC Command Network: Formal Structures and Informal Influence,” which details the evolution of a powerful faction within the Revolutionary Guard’s core leadership and its influence on regime decision-making. How have the Revolutionary Guards reacted to Hassan Rouhani's victory? 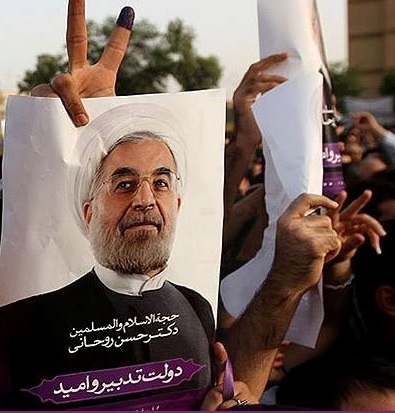 Otherwise, the Revolutionary Guards leadership has refrained from commenting on Rouhani’s victory except to distinguish him politically from the reform movement led by President Mohammad Khatami between 1997 and 2005. Mohammad Safar Harandi, a senior IRGC adviser, for example, insisted that the new president is ideologically closer to the principlists (ultraconservatives), the political group most closely aligned to the influential Command Network. The “Command Network” is one faction of extremely influential hardline IRGC commanders. This is a group with relationships dating back to the 1980-1988 war with Iraq that has since remained remarkably cohesive. Many of its members almost certainly interacted with Rouhani during the war or his 16 years as secretary of the Supreme National Security Council. How might Hassan Rouhani's election impact the Revolutionary Guards' influence on regime policy? And how might it be different from the Guards' influence during the Ahmadinejad years in power? One benchmark for IRGC influence in the new government will be Rouhani’s cabinet. Ahmadinejad had an unprecedented number of former IRGC officers in his cabinet, and change or consistency in this presence could be telling. The senior leaders, however, are unlikely to be forcibly removed from their current positions as a result of Rouhani’s election. The core IRGC leadership will, therefore, remain positioned to directly influence regime decision-making, particularly on national security and core foreign policy issues. In that sense, little may change. In the domestic realm, the IRGC may tolerate attempts by the new government to reform civil society, as long as reforms do not unleash currents that jeopardize regime stability. For example, the IRGC tolerated President Mohammad Khatami’s reformist government until the July 1999 student protests prompted the Guards’ leadership to threaten direct intervention if the government did not contain the situation. This is not a perfect comparison, however, as the IRGC has become more aggressive in responding to internal threats since IRGC commander Jafari’s 2007 appointment, and especially since mass demonstrations after the 2009 election. The Command Network, the same core group that then controlled the IRGC and warned Khatami, has only strengthened its grip in the intervening years. It is now is positioned to intervene again against any perceived challenges to the regime or the Guards’ interests. Do the Revolutionary Guards have "red lines" for Rouhani's administration? What might they be? The Revolutionary Guards have articulated at least one red line. Three days after the election, Brig. Gen. Mohammad Esmail Kowsari repudiated the influence of reformist leaders in the 2013 election. He warned against allowing former presidents Hashemi Rafsanjani and Mohammad Khatami to have influence again. Kowsari is a former senior IRGC commander linked to the Command Network. He currently represents Tehran in parliament and is a member of the National Security and Foreign Policy Parliamentary Commission. Kowsari said Iranians “fundamentally no longer trust” the reformists. Hardliners both inside and outside the IRGC appear to be united on this issue. Who are the most influential Revolutionary Guards commanders? What is their relationship with Rouhani? The Command Network has steadily gained control of nearly all the key command and staff positions in the IRGC and Armed Forces General Staff (AFGS). Its members include IRGC commander Maj. Gen. Mohammad Ali Jafari, deputy chief of the AFGS Maj. Gen. Gholam Ali Rashid, Quds Force commander Maj. Gen. Qassem Soleimani, IRGC Navy Commander Brig. Gen. Ali Fadavi, AFGS Intelligence and Operations deputy Maj. Gen. Mohammad Bagheri, and others. Although very influential, the Command Network is also only one part of the IRGC leadership. Another faction of current and former IRGC commanders—including Ali Shamkhani (above with Rouhani) and Hossein Alaei— appears to be more closely aligned with Rouhani’s camp. After the 2013 election, former IRGC Navy Commander Alaei defended Rouhani as “a known figure in the Islamic Republic, and there are no issues with him. He has been, and is, a revolutionary individual and effective in the revolution,” while Shamkhani praised the role of former presidents Rafsanjani and Khatami, who both supported Rouhani prior to the election. Will Fulton is an Iran Analyst for the Critical Threats Project at the American Enterprise Institute. Click here for the full report on the IRGC Command Network.